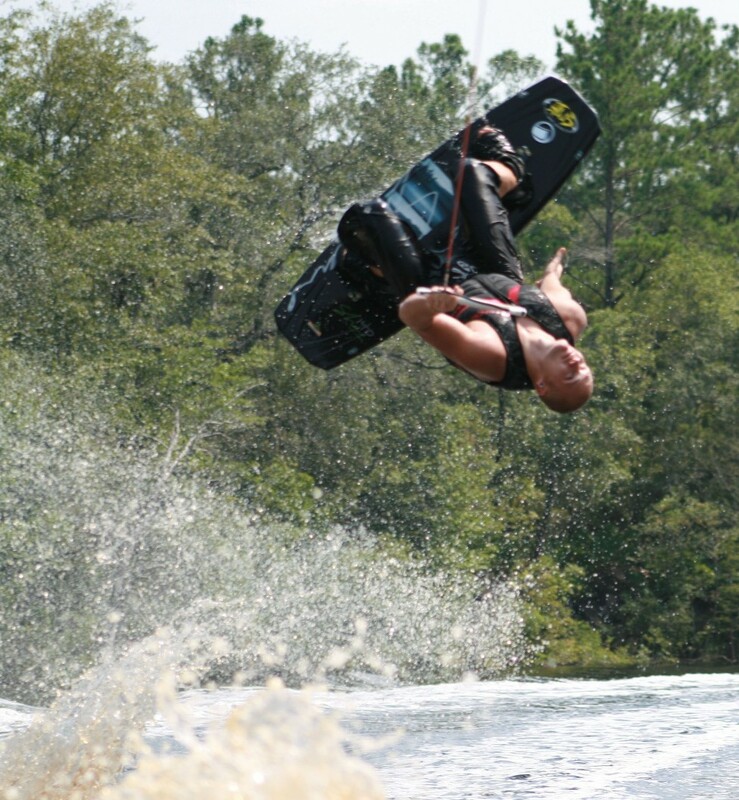 Wakeboarding - All Wet Sports Best in Jax. Pictured to the left is All Wet Sports main Coach/Instructor! He has been teaching wakeboarding for 10 years. He loves the sport of wakeboarding and it shows in his teaching skills. He teaches in his free time on the Scenic St. Mary's River on the Florida / Georgis border. AWS has a few other instructors in town that teach on Julington Creek and the Ortega River. This includes everything, including the smile on your face when you get to the next level! Give us a call 3-10 days ahead so we can see who is available. AWS is the agent that gets you connected!